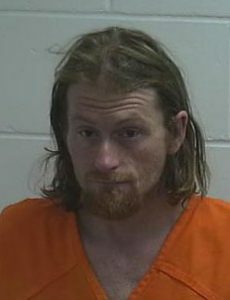 According to Chief Deputy Chad Kanable, On 10-27-2017 at 07:15 am, members of the Richland County Special Response Team, composed of officers from the Richland County Sheriff’s Dept and the Richland Center Police Dept, along with members of the Richland-Iowa-Grant Drug Task Force executed a search warrant on County Hwy C in Henrietta Township. The investigation showed evidence of a marijuana grow on the property, presence of psychedelic mushrooms and prescription medications. As a result, Joshua Clark of Henrietta township was taken into custody on charges including possession of THC with intent to deliver, possession of drug paraphernalia, maintaining a drug house, and possession of a hallucinogenic substance. Further charges are pending with the District Attorney’s Office. Possession of THC with intent to deliver (Felony), Possession of drug paraphernalia, maintaining a drug house (Felony) and Possession of a hallucinogenic substance.